Shirley Link loves pirates. Well, she loves the idea of them. She wouldn't like them if they were running up the street stealing bikes. But digging for treasure and swashbuckling adventure are on the top of her to-do list. So when a clue pops up that there's a hidden pirate treasure under her hometown, Shirley gets to work. 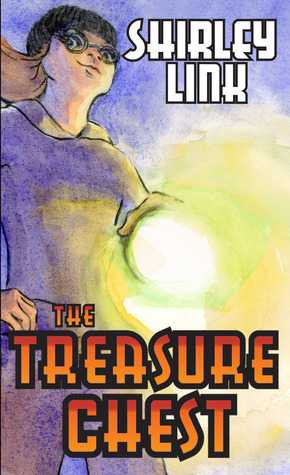 In Shirley Link & The Treasure Chest, the third volume in the critically-acclaimed Middle-Grade Mystery series, our heroine takes on her biggest challenge yet. But this time the stakes are higher than ever. If she fails to find the treasure, or if it ends up being a hoax, then Shirley's elderly neighbor, Mrs. Smiley, will lose her home to the bank. 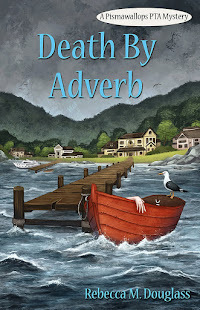 Before I begin, a disclaimer: I have an on-line acquaintance with author Ben Zackheim, and have shared space in the BookElves Anthologies with him. As always when reviewing the work of people I know, I have tried very hard to be objective and honest. This is the third volume of the Shirley Link series (see reviews of The Safe Case and The Hot Comic), and I continue to be impressed with the series. This book runs a little longer than the first two, but it's still a quick and easy read for kids who are good readers and ready for a more sophisticated story, but don't want to be at it for weeks. In the first couple of volumes, I found my only real criticism was that Shirley's ego can get a bit much. In this book, while she continues to value herself and her ability at least as highly as is deserved, she seems also to have discovered a bit of humility and humanity. It's a good addition to her personality. The interactions between Shirley and her friends Wiley and Marie are good, with the trio moving into slightly more mature interests and tastes--and conflicts. This book also left me feeling as though Shirley is learning to care more about other people than herself. Her work has always been for the good of the community, but this time I felt like she really cared about the people, not just "winning." The mystery is sound for the age range (it ends up being more puzzle than mystery, which is fine), and the writing is clean, strong, and impeccably edited. This series continues to provide great reads. 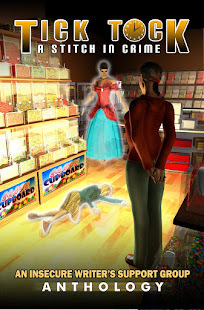 Shirley is the spiritual heir of Nancy Drew, but in many ways more like Cam Jansen--and is a great choice for kids aging out of that series. The books are written for older elementary school children, and don't talk down, but they are short, quick, and without violence. Reluctant readers will find the book easy to get into and through, and accomplished readers may enjoy the break from longer books. FTC Disclosure: I purchased Shirley Link and the Treasure Chest, and received nothing from the writer or publisher for my honest review. The opinions expressed are my own and those of no one else. I am disclosing this in accordance with the Federal Trade Commission's 16 CFR, Part 255: "Guides Concerning the Use of Endorsements and Testimonials in Advertising." Sounds like a great story, especially with the character growth for Shirley. They are great books, as is Ben's "Camelot Kids" series. And I'd say that even if I didn't know him :) The latter series is more advanced, reading-level-wise, and is (to use the standard cliche) a good fit for kids who like Harry Potter and Percy Jackson.